Hey guys! Hope everyone is having a great start to the week. Not a lot of stuff going on here. The girls are going to art camp this week and having a blast! Yesterday I picked them up and we hung out at the pool for a while, not a surprise 😉 The next few days we will be doing pretty much the same thing with maybe a little fun outings mixed in depending on the weather. I went to the store to pick up some things for dinner. 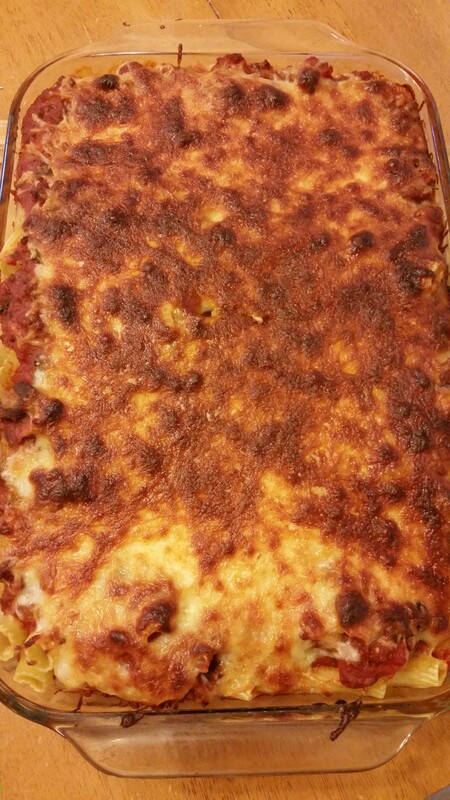 I decided to make a baked pasta of some sort and garlic bread. 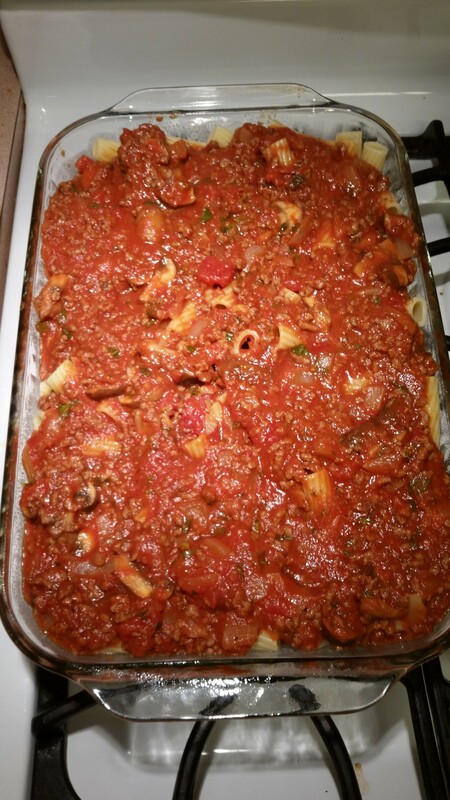 On the blog I have made so many different baked pastas- some the easy way (jarred sauce) and some the from scratch way. This time I did a mix of both. 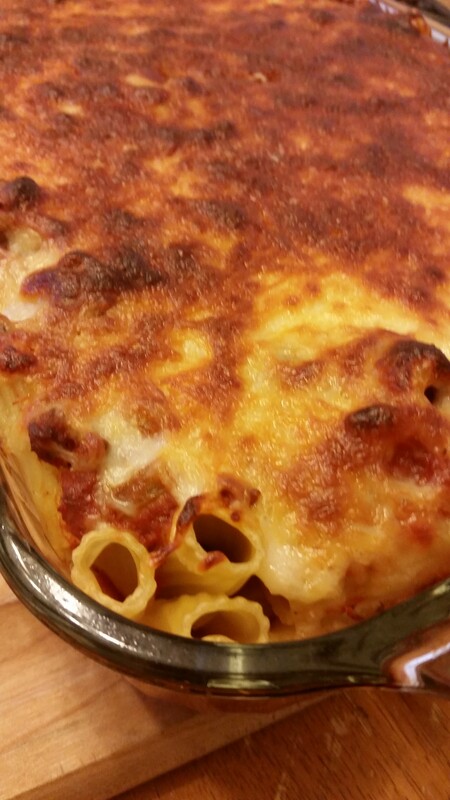 1 box tube shaped pasta; I used Rigatoni, but Ziti or Penne would be fine. 1 handful of fresh herbs (oregano, marjarum, thyme, rosmary and sage, finely chopped)- You can also use 1 tablespoon of Italian Seasoning if you don’t have fresh herbs. In a large dutch oven or pan, brown your meat with your onions in a tablespoon of olive oil on high heat, about 5 minutes. Add in your mushrooms and garlic. Cook down together, about 5 minutes. 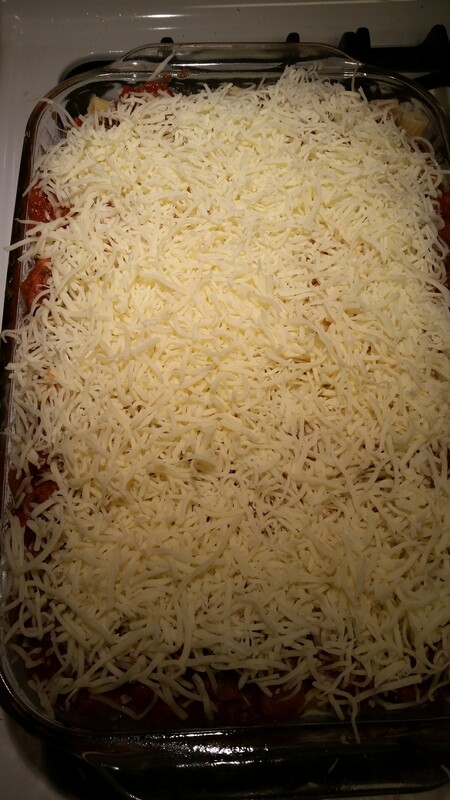 Assemble in a large casserole pan layering sauce, pasta, meat, and cheese. Cook for about 30-45 minutes or until cheese is melting and turning that yummy brown color. Serve with some garlic bread and a side salad!